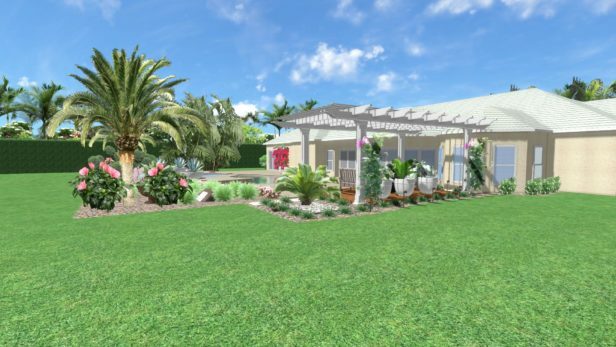 Clients renovated this Palm Beach Gardens home inside and out. 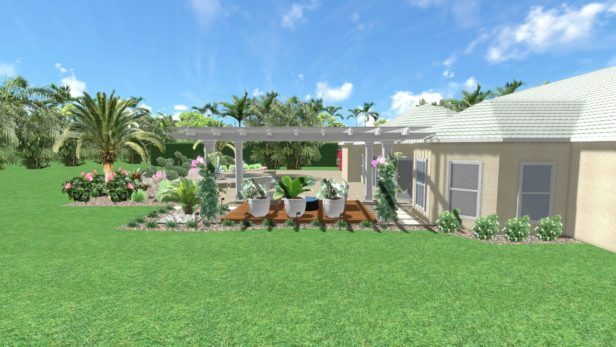 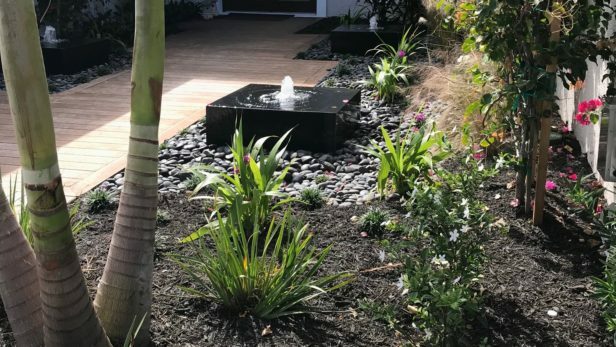 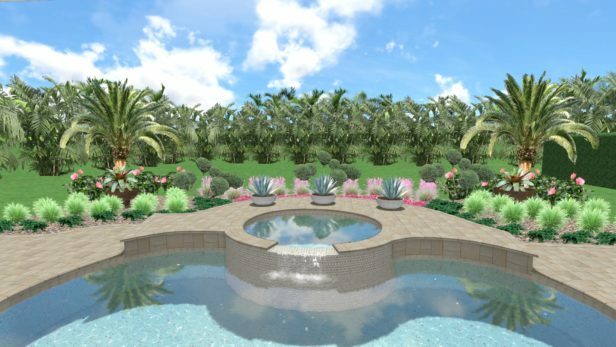 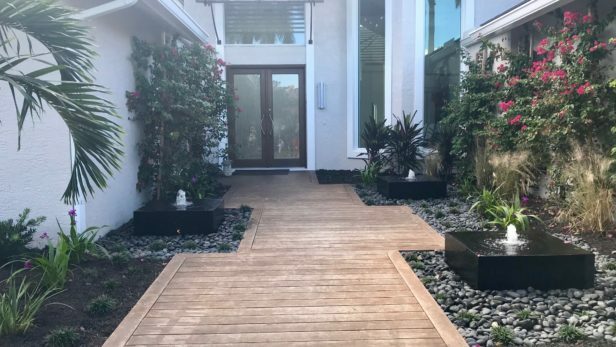 Complete landscape renovation included this Zen entryway featuring 3 Asian inspired fountains, beach pebbles, teak walkway and simple landscaping to create a stunning look for this Jupiter, Florida home. 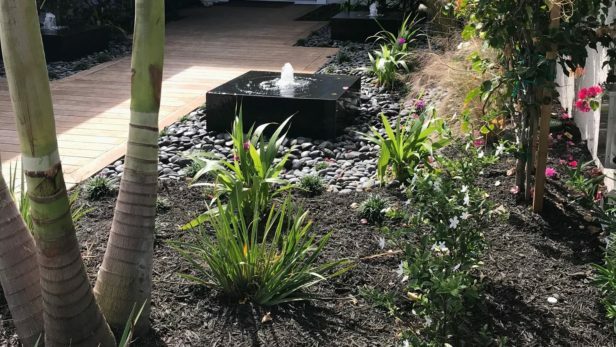 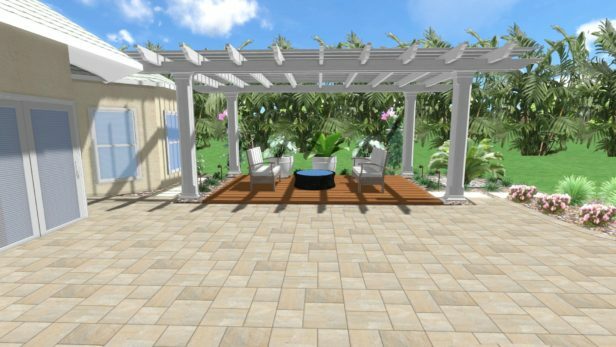 Other work included renovating the pool area and incorporating a pergola, cast stone pots and gorgeous landscaping to enhance the large patio area. 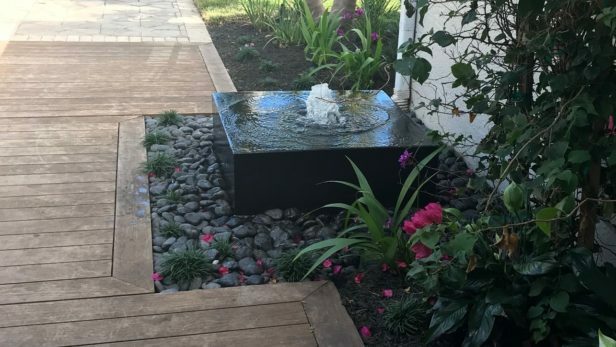 Landscape lighting was added to the entire property as well.